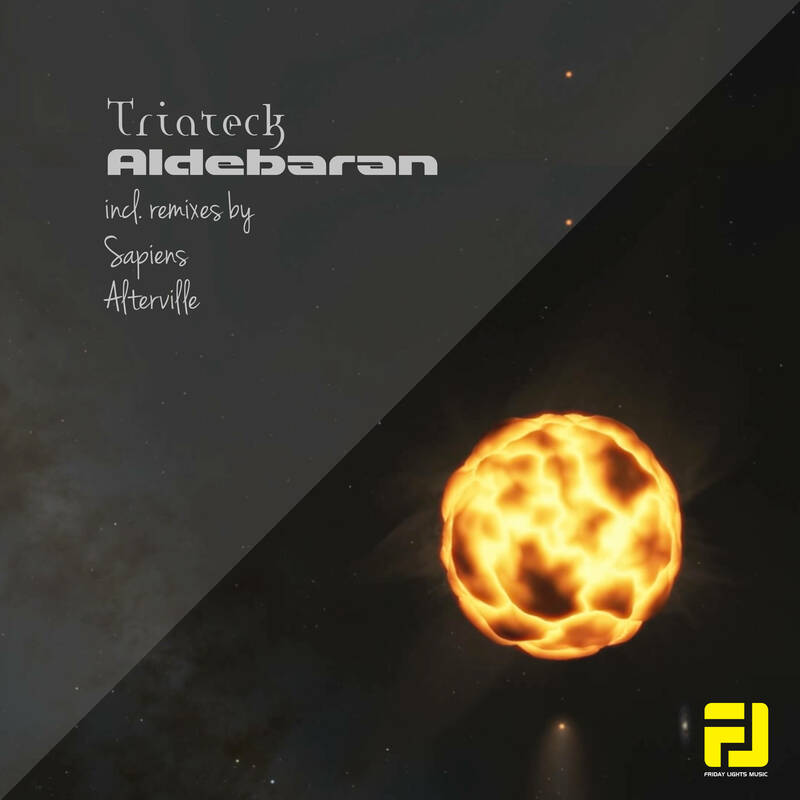 ‘Friday Lights Music’ is back with 30th release ’Triateck – Aldebaran’. Including remixes from ’Sapiens’ and ’Alterville’. ’Triateck’ showing off in this release his amazing melodic abilities and twisted build up. As a giant orange star Aldebaran, the original is full of melodic shine, twisted progression, sequences and glowing vibe. Sapiens directing things into funkier version, with almost disco feeling and incredible atmosphere. Alterville remix taking direction towards slow and heavy beat progression with sparkling leads and percussions.